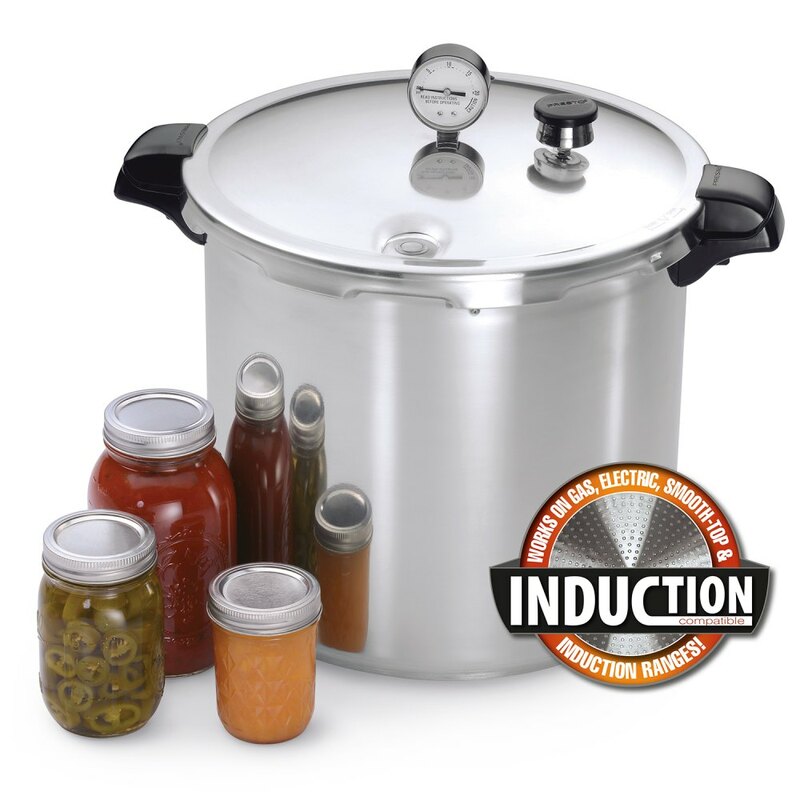 The only full-sized consumer pressure canner that works on an induction range. Works on gas, electric, smooth-top, and induction ranges. * Constructed of heavy-gauge polished aluminum with a stainless steel-clad base for fast, even heating. Doubles as water bath canners for preserving fruits, jams, jellies, pickles and salsas. Mason Jar Capacity: 26 Half-Pints, 20 Pints, 7 Quarts. *May not work on all portable induction ranges. Note: This pressure canner is designed for use on household range burners of 12,000 BTUs or less. Cooking/canning rack and instruction/recipe book included. The safe and easy way to can your own vegetables, fruits, meats, and seafood.